Parents are known to dread this time of year, when snow days and bad weather can leave children cooped up indoors for days. Once stir craziness sets in, tantrums inevitably follow. Luckily, we’ve put together this list of indoor activities to keep the kids busy and help you survive the long Boston winter. The aquarium is a sure bet to keep the kids occupied all day. Whether they want to see penguins, learn about sharks, or touch a ray, they’ll have fun here. Kids will get a kick out of seeing three different species of penguins swim around and jump on rocks. Check out the Edge of the Sea touch tank on the second floor for sponges and snails, or for the really brave, touching rays and sharks. The aquarium is open 9 a.m. to 5 p.m. on weekdays, and until 6 p.m. on weekends. Children under three get in free, and note that you can bring your own food in to accommodate any dietary restrictions in your family. This museum is a must-see for any kids in the Greater Boston area, with enough variety to satisfy kids of varying ages. Arthur fans (and who isn’t?) 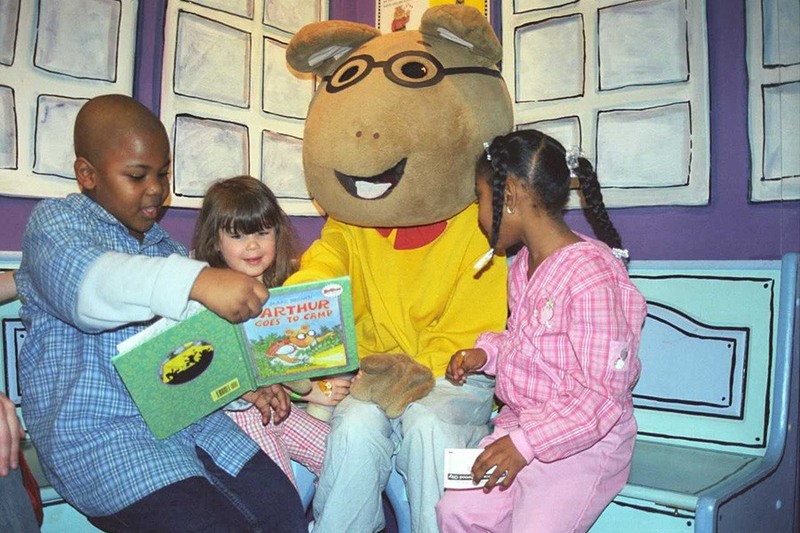 will enjoy the interactive Arthur and Friends exhibit, where kids can practice reading skills while seeing themselves on screen with familiar characters. 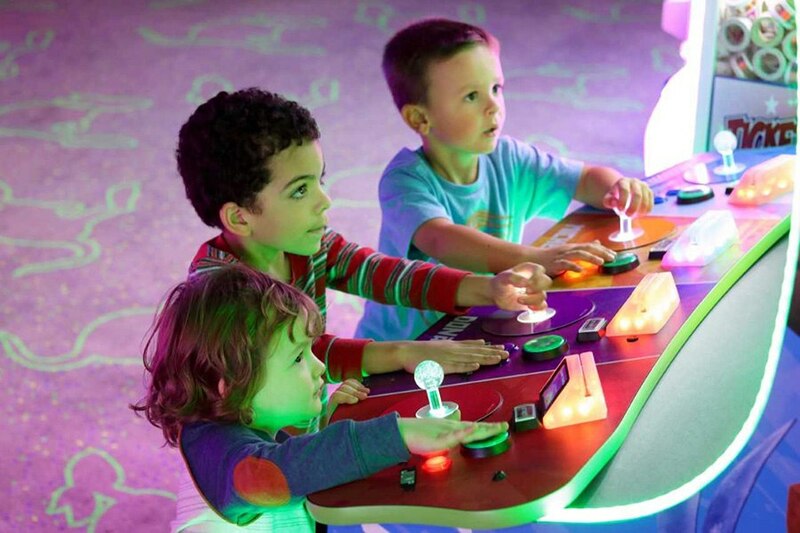 Or, aspiring scientists can become investigators in the Explore•a•Saurus animatronic exhibit, measuring fossils and completing puzzles. Don’t miss the large Americana collection, either. This South End space offers a bit of everything, which is why we gave it a Best of Boston award for the best kids’ birthday party location. Part parent support group, part toddler enrichment classes, kids here also have access to a great play space. The main play area is clean and comfortable, with plenty of natural light. Check out Friday playtime groups, which you can book in advance to give your toddler the chance to socialize when the weather isn’t cooperating. Imagine’s playground is as close to paradise as it gets for kids. The bounce house and ball pit will get out all that pent-up energy. Plus, they won’t want to miss the kid-sized town, complete with a grocery store, theater, library, and more. If you’re looking for a bit more structure, check out one of Imagine’s many daily programs, from rodeo to parachute play. Weekly language play socials offer an interesting opportunity to expose children up to 8 years old to a new language while having fun. Imagine is open 365 days a year for drop-in play, so keep this one around in case of an unexpected snow day or cancellation. This indoor play space is geared toward younger children, from toddlers to seven years old. With two open playrooms, three themed rooms, and a snack room, everyone will have fun. Kids will especially be drawn to the bounce house. Vinkari Safari expands their hours October through April, so this is a great way to spend a winter day, although note that they close on Mondays for cleaning. Each child gets free admission for two adults, with a discount for siblings. Conveniently, they also allow same day reentry. This play center offers the best of both worlds when it comes to play time. Drop in any weekday for unstructured free play with crafts toys, and playsets, or attend classes in art, yoga, and languages. Check their calendar regularly so you don’t miss cultural events, like their St. Patrick’s Day celebration with musical performances and crafts. Inside Playground is your indoor play option that will satisfy kids who want to run, jump, and climb, along with kids who are happiest reading quietly. In addition to play rooms and inflatables, Inside has a quiet playground with comfortable spaces for reading, working on puzzles, or playing with dolls. Costumes and a pirate ship are sure to be hits with kids, too. They also have Beam projection technology, compatible with games and puzzles in a virtual environment. Named for the Italian word for “town square,” that’s exactly what Piazza offers to children and parents. Parents and children six and under are welcome to stop by for drop-in play Mondays through Saturdays beginning at 8:30 a.m. 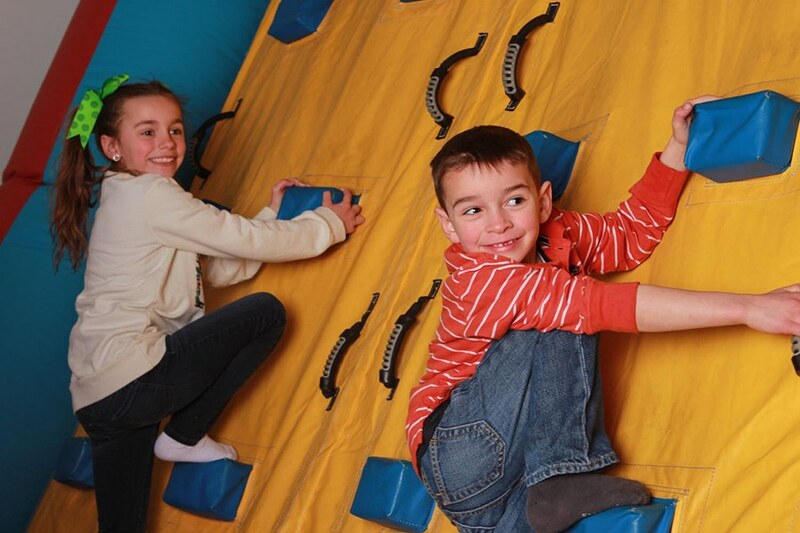 Toddlers will love the rock climbing wall, crafting supplies, and age-appropriate toys. Parents will appreciate the on-site cafe for coffee and breakfast items. Another active option for a rainy day, Jump On In offers all sizes and types of inflatables and jumping equipment. High ceilings and an open floor plan allow for long days of play that will tire out kids. You can rent out the space for a birthday party, or check the schedule for open jump sessions most afternoons. This South Shore play area is the perfect place for kids from birth to age six to spend a rainy day. All the play areas are located on the large turf field, so parents can relax off to the side while children play in two bounce houses, trampolines, and slides. Check the monthly calendar to meet pirates, princesses, and other characters in costume. With two rides and 10 play zones, this is a great snow day destination. Check out the Great Lego Race VR Experience, where kids can compete against Lego characters, or go on Merlin’s Apprentice Ride, which feels right out of an amusement park. Kids who aren’t up for rides will enjoy the Lego factory tour, and building and racing their creations. Legoland is recommended for children ages three to 10. Reserve tickets online ahead of your visit to avoid a long wait. Ice skating is practically a required Boston winter activity, but sometimes the weather doesn’t cooperate. Luckily, you can get the best of both worlds here, skating inside while the glass panels around the rink let you look out at the harbor. Skating on the large rink is free, and rentals are $5. Check the hours before you go, because the schedule is different every day. This museum will keep your little ones occupied, and they might even learn something. Young animal lovers will enjoy the Live Animal Care Center, where they can see and learn about 120 different species, a great choice when the zoo isn’t an option. The Butterfly Garden is an especially fun treat on cold winter days as you escape into the warm conservatory. Reserving afternoon tea at the American Girl Store is an easy way to make a gloomy day into an adventure. Kids will love dressing up their dolls to accompany them to tea, and choosing from options like Kaya’s fruit kabob or Kit’s cucumber sandwich. Then, head over to the doll hair salon for your pick of styling, ear piercing, or spa treatments (for the dolls, of course!). Take a look at the schedule to see if any upcoming events fit your interest, like bingo night or cake decorating classes. 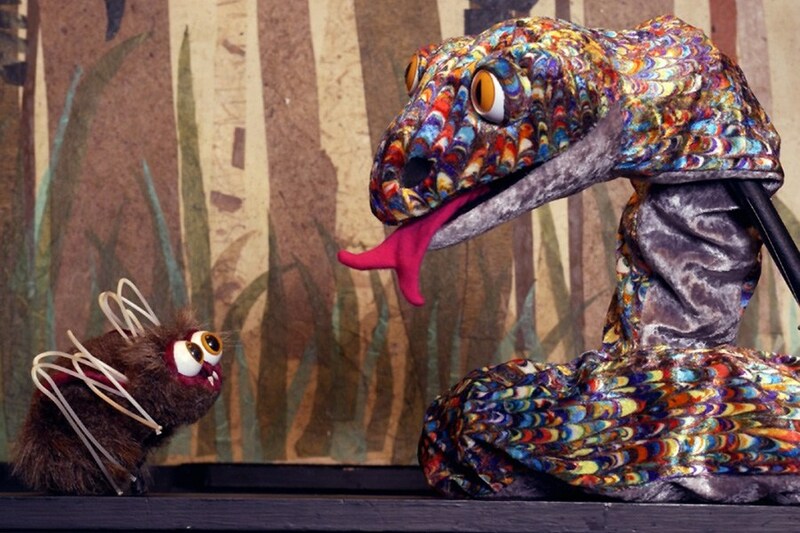 When the idea of seeing a movie on a snowy day feels overdone, try a puppet show. The puppeteers at the Brookline Village Theatre provide a guide to determine what shows are appropriate for each age. Children under four will enjoy Puppet Playtime, an interactive performance designed with their age group in mind. All of their shows are appropriate for five year olds and up. Check out their schedule and show descriptions online to find one that your family will enjoy. As a slightly lesser known museum, this is a great choice for when you feel like you’ve exhausted your usual options. The Boston Fire Department is one of the oldest in the country, and kids will have fun seeing the history and memorabilia. They can also meet a real-life fire dog, Sparky the Dalmation, who greets visitors. If you have an aspiring firefighter, consider planning a birthday party here, where children can sit on the 1926 fire engine and ring the bell. For slightly older kids (over seven), Boda Borg is the last word in escape rooms. Boda Borg’s only U.S. location in Malden has 10 different escape rooms that demand varying levels of physical and mental strength. Advance through the multi-level rooms and see if you can beat them all. Make reservations online, wear comfortable clothes, and opt for the “as long as you want” pass—you won’t be nearly ready to leave after two hours. With two Boston locations, Rock Spot is a great place to try out rock climbing. Older kids, adults, and toddlers can all try their hand at the sport. Youth programs accept four-year-olds at the youngest, although younger children are welcome to climb with adult supervision. 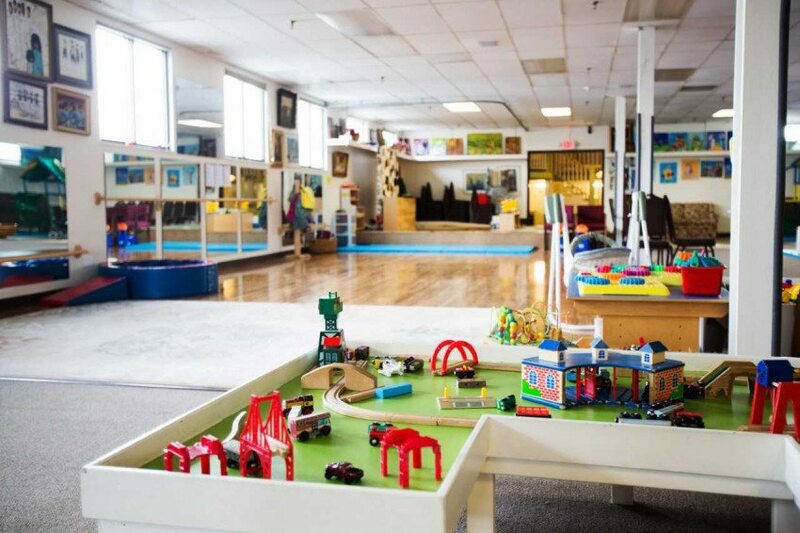 The Dedham location also offers dedicated “toddler time” every Sunday morning, where little ones get the run of the place. Walk-ins are welcome every day from 10 a.m. until midnight. Buy a day pass and go until you’re too tired to climb anymore. MuckyKids was made for those days when your kids are feeling ambitious about an art project, but you’re not feeling so ambitious about the potential cleanup. Not to worry—they can channel their inner Picasso here instead. Check out the drop-in studio, where for $15, every child gets the materials to participate in a craft that can be adapted to any age. Choose from any project, or wander around and try them all. Or, stop by for a class for toddlers to 12-year-olds. Classes run in 10-week sessions and cover topics like fiber arts and science. Coolidge Corner’s showtimes for kids are a great way to spend a rainy day. On weekends at 10:30 a.m., look out for a curated selection of movies that adults can enjoy, too, like The Great Muppet Caper and Fantastic Mr. Fox. Their selections are generally recommended for children between three and 10 years old. Buy tickets ahead of time online, as they often sell out. You might not expect much for kids at the Boston Athenaeum, but their children’s library is a space with options for toddlers to adolescents. Made up of two large rooms, the preschool area has a wide collection of boards and picture books, while the young reader’s room offers study spaces, young adult fiction, nonfiction magazines, and audio books. Come here for a quiet afternoon when you need to get out of the house. As a nice bonus, children under 12 get in for free. Both the Cambridge and Boston Public Libraries offer warm, inviting spaces for children to choose from a wide selection of books and spend time reading. For more interaction, check out their schedules for story time and other events, like toddler sing-alongs and after school arts and crafts. When you can’t play outside, Launch is the next best thing—or maybe even better. Older kids can check out the trampoline courts, play dodgeball on trampolines, and get extra height in their basketball games. Don’t skip the laser tag game, either. If you’re feeling adventurous, jump from the Stunt Tower and land in the giant airbag 20 feet below. For children under five, try out toddler time, which is open for two hours every morning. Roller World is fun roller skating opportunity for beginners and experts. With a 14,000-square-foot rink, plus a smaller beginners’ rink, you’ll have plenty of room to practice and perfect tricks under the lights and music. If not everyone in your family is into skating, check out the games they have, too. Look up their hours online before you go. Children are welcome any time except for Tuesdays, and rentals are included in the admission price. This spot is easily one of the most visually stunning museums in New England. The animals in the Africa Gallery are particularly beautiful, but you really shouldn’t miss any part of this museum. Check out the Rockefeller Beetles in the Arthropods: Creatures That Rule exhibit, too. If you’re looking for a more interactive experience, sign up for one of the “Exploring Science” family programs, like the ones on bugs and marine life. Admission is $10 for children over three. The MFA has several programs to keep kids occupied, and maybe inspire an appreciation for art. Check out MFA playdates on the first and third Saturdays of the month, where kids can participate in story time-guided exploration of galleries. These programs are recommended for children four and younger, and they’re free with admission. 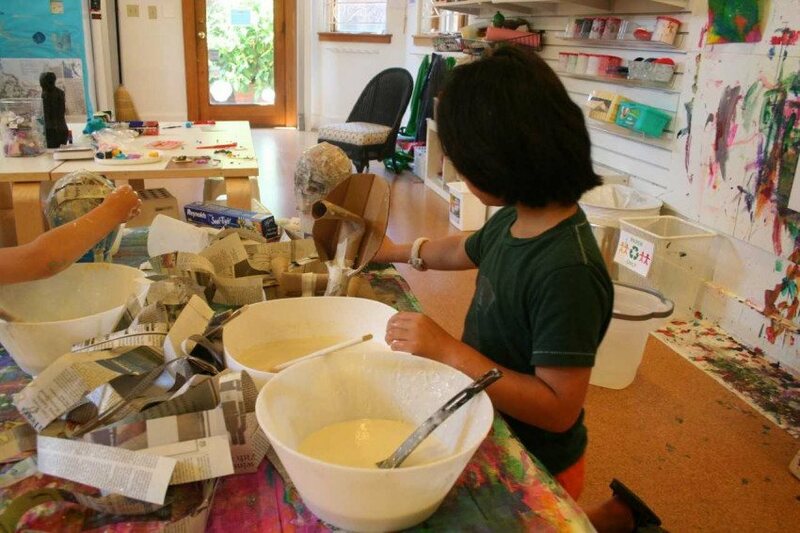 Kids five to eight years old will enjoy weekly “Junior Artist” programs on Saturdays as a time to admire and make art. Bowling is the quintessential bad weather outing, and Boston has plenty of options. Check out Sacco’s in Somerville for traditional candlepin bowling, and end your day with their acclaimed flatbread pizzas. Or, head over to King’s in the Seaport and introduce your kids to some of your old favorite arcade games, like Mortal Kombat and Mario Bros.